Ray Manukay is a passionate and opinionated sports and film enthusiast. He was born and raised in Los Angeles, California. He is the former Social Media Manager and marketing assistant at Kingdom Worldwide Web operations. He was also one of the very first web content editors at Mahalo.com and is the owner and editor of PassMeThePopcorn.com. He also worked as a part-time shift manager at Laser Blazer, a popular DVD store in Los Angeles for several years. Ray is also a member of the Screen Actor's Guild and was a working actor for several years. He attended college at Chapman University where he studied theater performance. He has been nominated several times for the Irene Ryan Acting Award for performance and has received several meritorious achievement awards from the American College Theatre Festival for playwriting and directing. 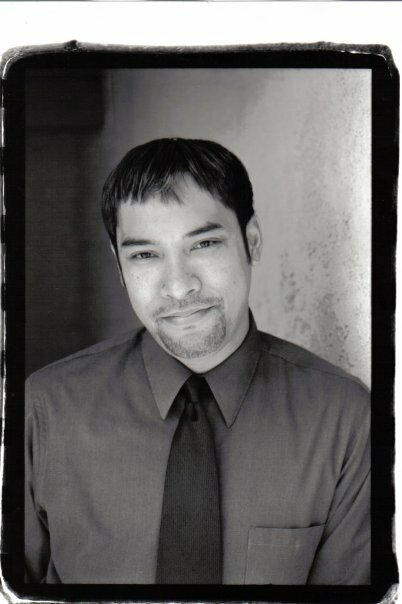 Ray has performed with Shakespeare Orange County, Fullerton Resident Theatre Company, Long Beach Playhouse, South Bay Center for the Arts, Rancho Santiago College and was a recipient of a full scholarship with the prestigious Shakespeare & Company in Massachusetts in Lenox. To work with a talented and dedicated team to produce high quality work in a challenging and exciting, fast paced environment. Social Media Manager, Kingdom Worldwide Web Operations, Inc.
To read recommendations for Ray Manukay visit the article Recommendations for Ray Manukay. "All the actors deftly carve portraits of characters making the uncomfortable transition between eras. Raymond Manukay is exceptional as the boy in servitude to the African raj and as the career-conscious Martin in Act 2." Raymund Manukay stands out for his naturalism and reserve as the crafty salesman who lures Belle away from a tiddly Richard."